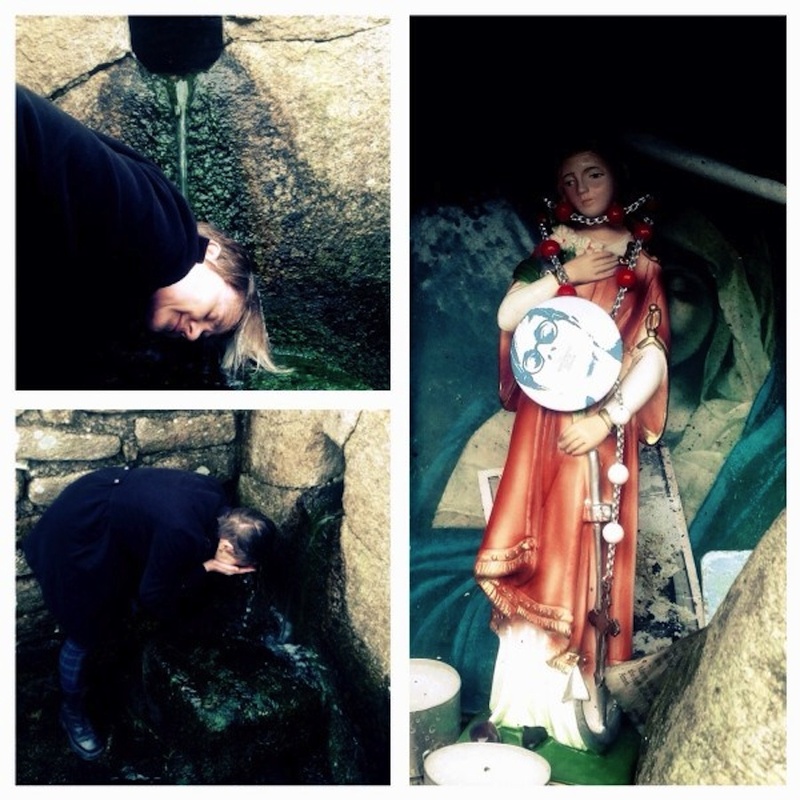 Holy wells specialising in the curing of specific diseases can be found all over Ireland. Such illness are often reflected in the names given to the wells: Tobar na sul (the eye well); Tobar na plaighe (the well of the plague); Tobar na ngealt (the well of the insane) to name but a few. Last weekend I took the waters at St Mullins well in County Carlow which is said to have the cure of both the headache and the plague. I left a sick selfie on the virgin as a offering.